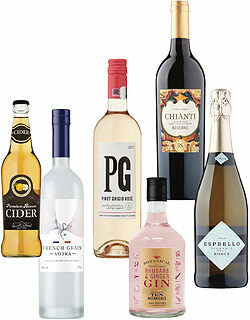 The shortlist for the Quality Drinks Awards 2018 has been announced and SPAR Brand has a total of 22 shortlisted products. 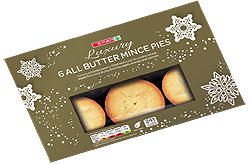 SPAR won the top honours at this year’s Local Shop Quality Food Awards, with SPAR’s luxury mince pies winning the prestigious Gold Christmas Q Award. 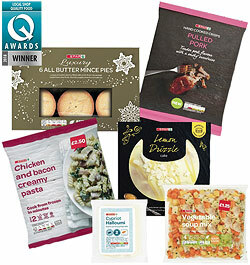 SPAR BRAND…… AND THE WINNER IS! 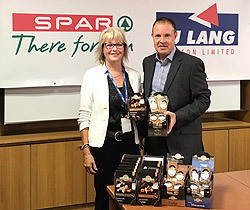 The results are in and the Local Shop Quality Food Awards proved to be another night of huge success for SPAR as we scooped an impressive 18 awards at the year’s Local Shop Quality Food Awards. Scotland’s No1 Confectionery brand Mrs Tilly’s has secured a major distribution deal with one of Scotland’s leading convenience retailers C J Lang & Son Limited to supply SPAR stores across the country with a range of their market leading Tablet, Fudge and Macaroon products. 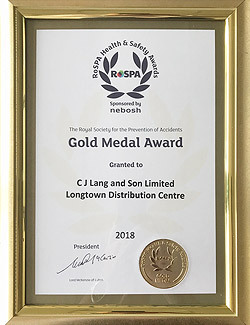 C J Lang and Son Limited - Longtown Distribution Centre has won a Gold Medal award for achieving 8 consecutive Gold Awards in the prestigious RoSPA Occupational Health and Safety Awards. Wine Journalist Terry Kirby has featured SPAR’s Languedoc White in his ‘Wines of the Week’ feature. SPAR in Westhill recently enjoyed some positive, national press coverage recently courtesy of The Telegraph. 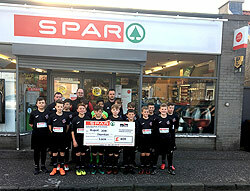 Staff at SPAR Thornton recently donated £400 to Thornton Locos 2006 football team. 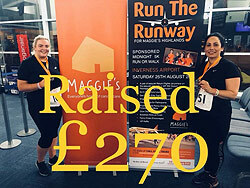 Staff at SPAR Kingswells would like to say a huge thank you to everyone who donated to the raffle and raised £270 for Maggie's Highland 'Run the Runway'.